I've just looked at my most recent FOTD and realised my eyebrows are totally wonky so you have my sympathy! They seem fine IRL though, weird. I'm going to resist the tweezers... for now. Gorgeous look! 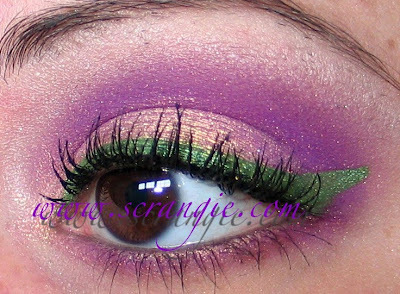 I wish I had MAC Melon pigment so I could attempt to recreate it! I'm sure you can use eyelash growth stuff on eyebrows too BTW, if you have the L'Oreal serum stuff! Really pretty. I like the color combo! Rapunzel Had Extensions is so awesome! You should try it with Shinigami, the sparkly purple! :) Recently I wore it with Sleepy Hollow. Gorgeous purples. 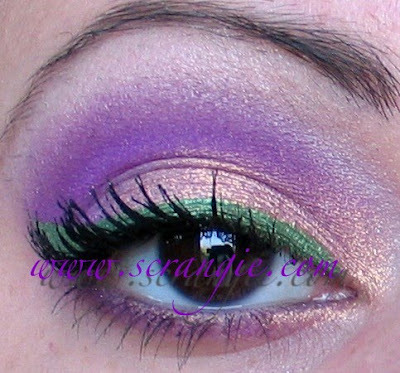 Love the green liner with it. I recently let my eyebrows grow for 3 weeks. I have the 16x mirror and I'm always plucking something. They got just too thin. Now I plucked them some last night. I couldn't stand how thick they were. They still aren't all grown out and I hate it! you know I'm crazy about purple and gold...you have done a great job dear..your eye make is so beautiful. How hard is the Revlon mascara to remove? My problem with Lash Blast was that it was such a PITA to take off. I love the colour combination! I hear you about the eyebrows - mine grow really fast, but I don't trust myself to tweeze more than a stray hair at a time. :) I get them sugared once a month, but wonder if it should be every week, lol! 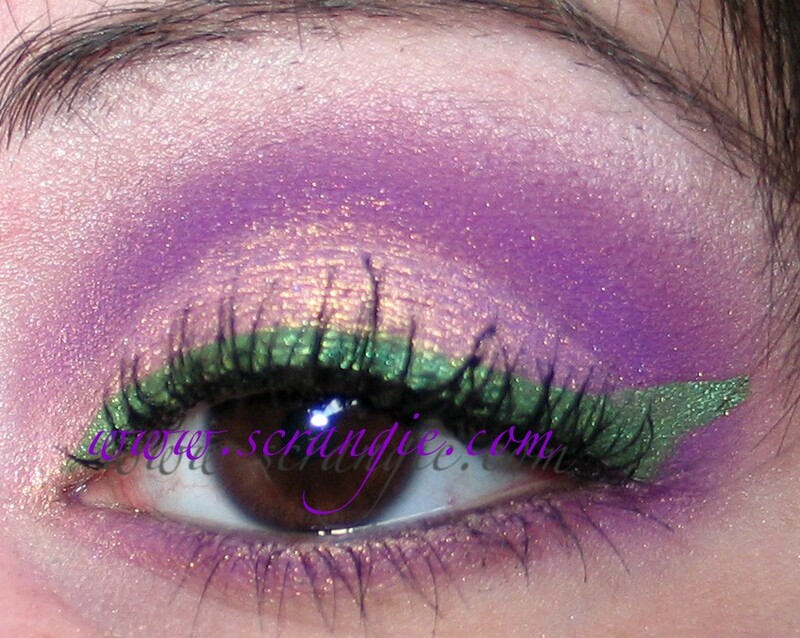 They will grow back soon, and we don't mind "old" EOTD pics, especially when they are this awesome! Oh it's so pretty ! wow! you are amazing at this! 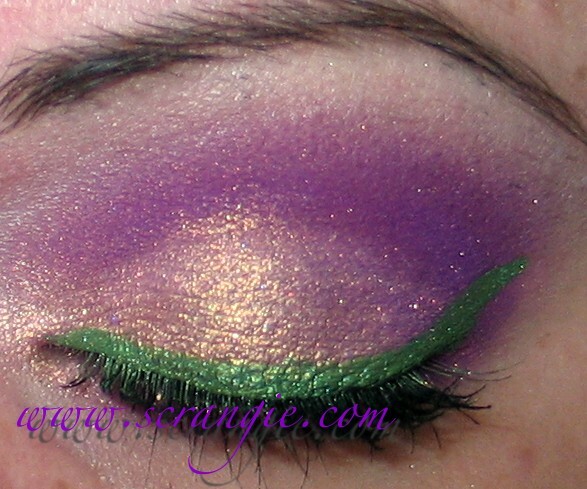 i try to do it with my fyrinnae shadows, and they just end up in one big smudge haha!